Plse read confidential remarks! !Sitting high on a hill with a fabulous east panoramic valley view, this Encinitas Ranch home is pristine. When you first enter this house you will feel the comfort and see the exceptional upgrades few homes offer. The floor plan allows exceptional entertainment for family and guests. Every upgrade from the wood/stone flooring to the granite/marble counter tops are top of the line materials, no expense was spared. This property has been very well maintained. Pls read supment, The home offers the finest quality, rich in taste and appointments. There are 5 sets of French doors, three fireplaces, dual stair cases, surround sound, ceiling fans throughout, full baths in every room, custom lighting, shutters, custom draperies, butlers pantry with wine cooler, electric shades in master bedroom, alarm system with cameras and a garage for 4 cars. Kitchen has beautiful Cherry cabinets with granite and all KitchenAid appliances, huge builtin refrigerator, 8 burner stove and tons of cabinets. The floor plan offers a great combo of the kitchen and family room for entertaining. The custom built back yard has builtin BBQ, fire pit, Pergola and a fabulous putting green. 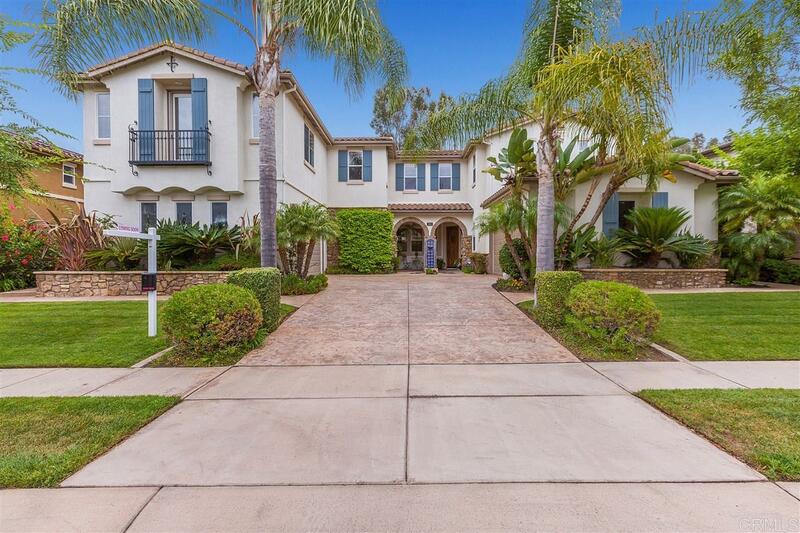 The community of Encinitas Ranch offers a championship golf course, walking trails of which, entry is two houses away and close to great shopping and dinning.